If you are looking for a great historical mystery, look no further. 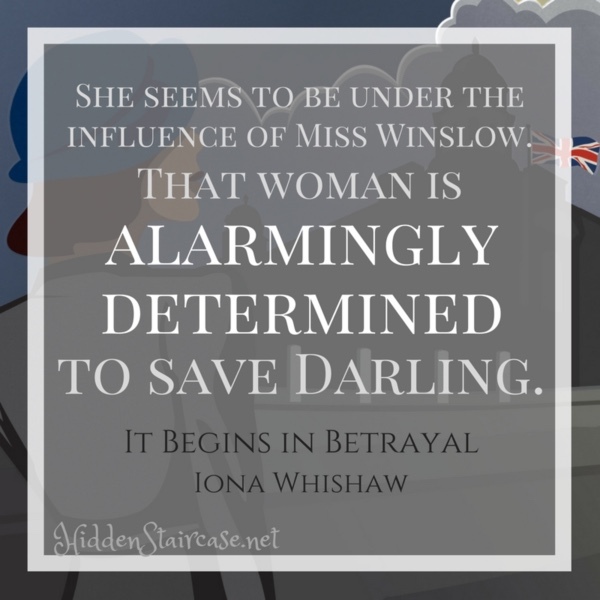 The latest outing in Ms. Whishaw’s Lane Winslow series fits the bill. 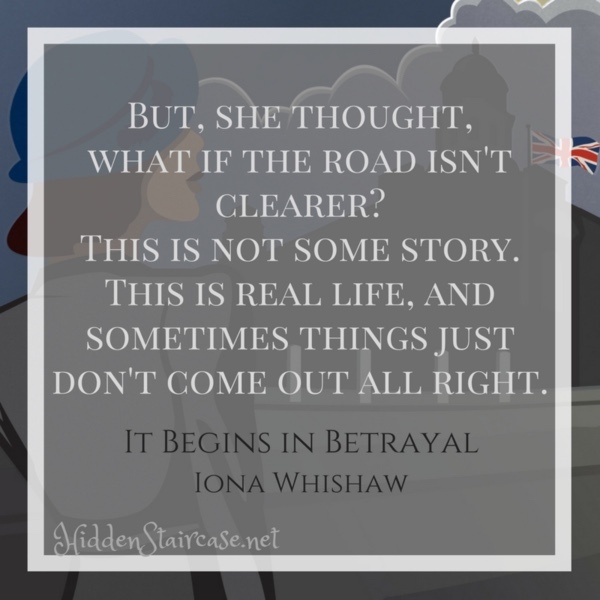 It Begins in Betrayal expertly transports the reader to late 1940’s Canada, where we find Inspector Darling about to go out on a murder investigation. And right away the story takes an unexpected turn. To say Lane Winslow is a strong, independent woman is putting it mildly. It is such fun to read a story in a historical setting where the lead is a smart woman who is two steps ahead of the men. Lane doesn’t let anyone tell her what to do, and is fiercely determined to protect those that she loves. Inspector Darling is called to London for questioning regarding the death of a man in his unit during a War operation; of course Lane makes her way to London to help clear his name. Ms. Whishaw manages to pack two mysteries into this novel. While Lane and Darling are in London working to save Darling’s life, Constable Ames is left to his own devices in Canada to solve the murder of a local woman, Agatha. As the investigation presses on, Ms. Whishaw occasionally changes narrators to give us glimpses into Agatha’s past, and how she ended up living a life of solitude far from her family. It Begins in Betrayal has it all. The historical setting will pull you in, the two mysteries work well together, and the strong characters will keep you turning pages until both mysteries are solved. An enjoyable book to add to your summer reading list! ← Music Monday: Original or Cover? You’re the One that I Want.